How does a champion think? An authority on high-level achievement, Denis Waitley has studied the amazing similarities in the mental strategies of great champions in both business and sport. Distilling years of research into the psychology of winning, Waitley shows how you can make these mental traits you own and outlines a 21-day program for doing so. 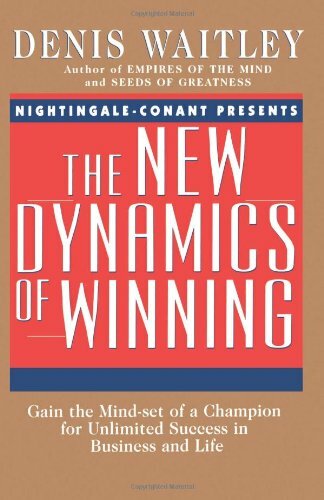 Among the topics covered in "The New Dynamics of Winning: "Focusing your mind for peak performance anywhere, anytimeHow paying the price prepares you for success. How to use stress to your advantagePrevalent self-destructive beliefsThe psychology traits of those who become winner A guide and an inspriration to achieving your personal best, "The New Dynamics of Winning" clear, no-nonsense advice on what it takes to succeed in any field of endeavor.